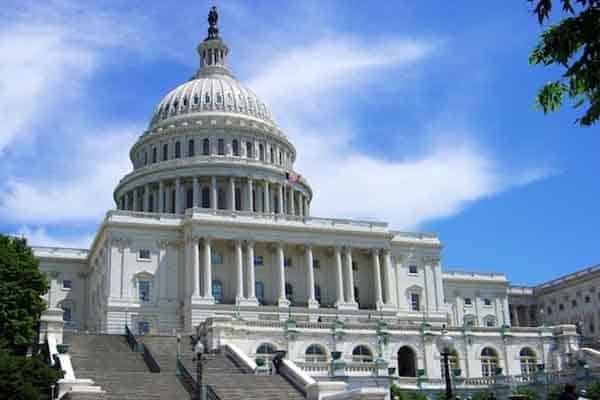 Congress is expected to schedule a hearing on sports betting sometime in June. Many expect this hearing to tackle the prospect of imposing federal regulation on domestic brick-and-mortar sports betting. While it doesn’t seem likely that a congressional bill on federal regulation will come to pass anytime soon, this hearing may provide the foundation upon which to build upon. Ever since the US Supreme Court removed the Professional and Amateur Sports Protection Act (PASPA) from the books, states have been working on legislation to bring in legal sports gambling. The sports leagues that were once the plaintiffs in the SCOTUS case that saw the demise of PASPA now want federal regulation to blanket over the 50 states instead of having to fight for their terms from a state-by-state basis. Federal regulation would certainly make things easier for the NFL, NBA, MLB, NHL and NCAA in terms of obtaining royalties and establishing a firm grasp on the data used to determine betting odds and outcomes, especially since multiple states have been aversive to these platforms. Senator Orrin Hatch out of Utah made comments hinting at possible federal regulation. This hearing falls in line with that trajectory, but given the slow pace of legislation in the United States, it is hard to imagine any drastic overhaul. The House Judiciary Committee is suspected to be the venue for the first hearing on sports betting. House Judiciary Committee Chairman Bob Goodlatte fueled this speculation after stating his fears for the detrimental effects legal sports betting could pose for the US. He also stated his backing of the SCOTUS decision to repeal Paspa based on his federalist beliefs, but he does have the power to get the ball rolling on regulation in his committee. It is unclear whether Hatch is planning to hold something in the Senate and the House of Representative’s calendar does not currently have anything scheduled pertaining to federal betting policies. It is important to note that just because a hearing takes place doesn’t mean anything will happen on the legislation level. Something similar happened when Daily Fantasy Sports were in the headlines back in 2016. A congressional hearing was held but no federal action came to pass. AGA President Geoff Freeman is an outspoken opposer to federal regulation and believes that the federal government has lost its opportunity to take control of the new market. The AGA has long advocated for states’ rights to host legal betting options, so he may be a bit biased, but his idea that the government has missed the boat on federal regulation is interesting nevertheless. Time will tell if Congress has a hearing on the topic and if anything comes to fruition. Control of the domestic sports betting market is at stake, meaning the issue should not be taken lightly. In the meantime, states will continue to push out new forms of legislation.